Conor McGregor is a name that lots of people know, even if they don’t follow mixed martial arts (MMA). He has become a household name and is one of the wealthiest sports stars in the world, but he wasn’t born that way. McGregor had to literally fight his way up from nothing and went from rags to riches. Here is how the Irish fighter went from welfare checks to $100 million fights. McGregor comes from an area of Dublin, Ireland, known as Crumlin. It is not an affluent area, and his family was typical of people who live there. They were honest and hardworking, but that doesn’t always make a fortune as many working class people all over the world can identify with. As a young boy, McGregor had dreams of playing soccer. Then one day he found boxing and the beginning of the rest of his life began. He started training at the Crumlin Boxing Club, and he discovered a new passion in life that would never leave him. His parents claim that McGregor was born with clenched fists. 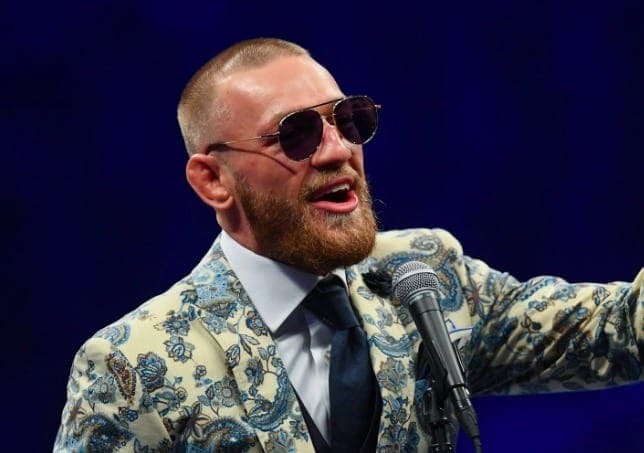 Boxing was exciting and provided McGregor with the kind of release that few activities could, especially for a man whose life wasn’t going where he wanted it to. McGregor then met his longtime coach John Kavanagh in Dublin. The two struck up a good relationship, and McGregor was invited to train at one of Kavanagh’s gyms. 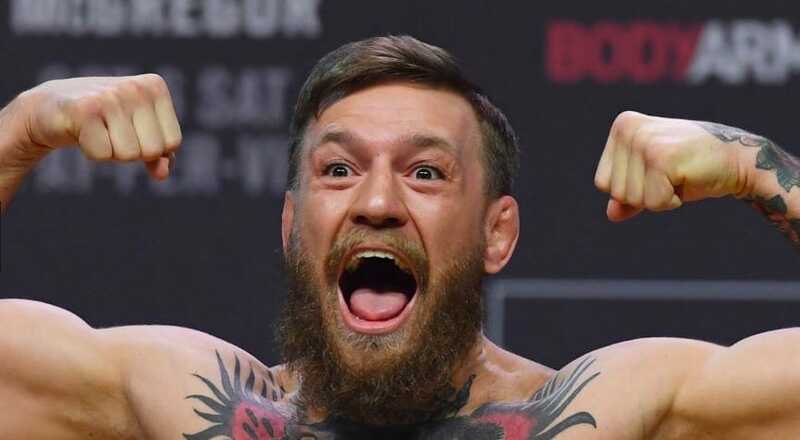 McGregor strolled into Kavanagh’s gym and promptly beat up two of his guys. This was not acceptable for Kavanagh who pinned McGregor to the floor and started wailing on him. He didn’t stop until McGregor agreed that he would only train at this gym and would never beat anyone else up there again. That encounter stuck with McGregor, and he kept Kavanagh close by all the way through his rise in the fighting rankings. At the time, McGregor was training to become a plumber after ditching school as soon as possible. He wasn’t making great money, and once he discovered Kavanagh’s gym, he was no longer interested in fixing people’s toilets. McGregor quit plumbing, starting picking up welfare checks, and dedicated his life to honing his craft. He was determined to become a success, and even fought his dad after insisting he would become a millionaire by the time he was 25. Around this time that he met his long term girlfriend Dee Devlin, who would also remain close throughout his journey. McGregor went 4-2 in his first six professional MMA fights but went on a hot streak that saw him become a double champ in the Cage Warriors fighting promotion. That drew attention from the UFC, the premier fighting organization in the world. 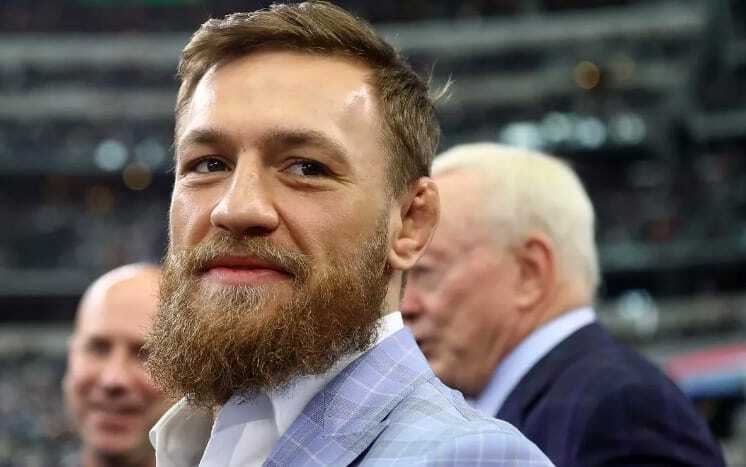 There was no guarantee that McGregor would be successful, and one week before making his UFC debut he received a welfare check of 188 Euros ($212). His UFC debut was electric, and he spectacularly knocked out Marcus Brimage, earning him many fans and a $60,000 bonus. McGregor liked this stage, and it liked him. He rose through the featherweight rankings, talking trash to every opponent on the way to lifting the featherweight belt against Jose Aldo. McGregor dispatched of Aldo in 13 seconds. Aldo was unbeaten in ten years and held the belt since his debut in the UFC. The world took notice. McGregor knew he was big business for the UFC, and the fighting organization knew just how much cash he brought in through pay per view sales. He had license to do what he wanted, so McGregor wanted to add the lightweight belt to his collection. McGregor was due to fight Rafael Dos Anjos for the lightweight belt, but his challenger withdrew, so Nate Diaz was his replacement. Nate Diaz would not be bothered by McGregor’s trash talk, he was a master at it himself. Diaz won their first fight, but McGregor got an instant rematch and won. They were two of the biggest fights in the history of MMA, and both fighters won fight of the night bonuses. McGregor had avenged his loss to Diaz and now had his sights set on the lightweight belt once more. Eddie Alvarez now held it, and Mcgregor got his title fight. He won easily, putting on one of the most dominant performances by a challenger ever. This got people talking as it looked like MMA was no longer a challenge for McGregor. All the way through his rise to the top McGregor teased a fight with boxing legend Floyd Mayweather, and now he was truly on the map it was a possibility. After plenty of taunting on social media, Floyd Mayweather agreed to come out of retirement to fight McGregor. McGregor reportedly earned $100 million from his contest with Mayweather, even though he lost to the boxing legend. Ever since he started making serious money, McGregor hasn’t been afraid to flaunt his new lifestyle. He drives fast cars, wears expensive suits, and seems to live the dream a $100 million net worth brings. Although his last fight in the octagon was a loss to Khabib Nurmagomedov, he’s still one of MMA’s biggest stars and will no doubt be back soon. He’ll be back winding up his opponents and making truckloads of cash in the process.